JIMMY:I DONT UNDERSTA.... 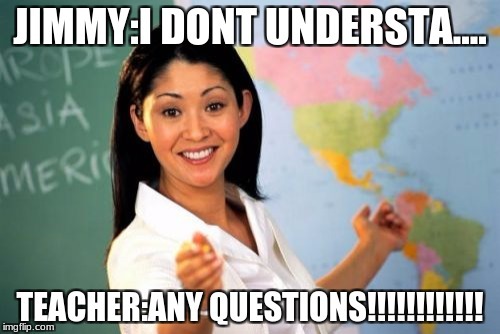 TEACHER:ANY QUESTIONS!!!!!!!!!!! !